You drive for show. You putt for dough. But what about those tricky shots around the green that, more times than not, we fail to get up and down? Why has this become such an overlooked portion of our game? 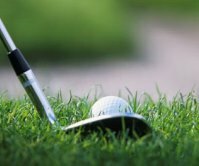 The pros put in an incredible amount of time on their short game and greenside shots – some estimate well over 50% of their practice time – perhaps it should be a focus for you too. The next time you are left with a dicey pitch shot to salvage the round of a lifetime, you’ll be thankful you put in your time. Of course, a great short game requires the right tools and the information below provides a snapshot of the hottest new wedges available. Folks, Titleist did it again. There’s a reason their Vokey SM6 wedge is the preferred choice among PGA Tour professionals. The game of golf continues evolving, driven, in part, by equipment innovation. Titleist keeps pushing the envelope with their wedge technology and the SM6 wedges offer an array of benefits, which we can narrow down to three specific components: center of gravity (COG), groove design, and grind. The center of gravity is determined by a specific loft-to-weight ratio. There’s the lower-lofted wedges (PW, GW), mid-loft (SW), and high-loft (LW). This COG technology combats loft variations by realigning the club face’s center of gravity to promote consistent, predictable shot-making. When it comes to delicate pitch shots, spin is king. The Vokey SM6 wedges feature TX4 groove technology. 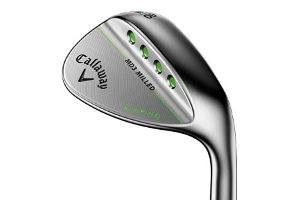 The low-loft wedges (46°-54°) are designed with narrower, deeper grooves. Whereas, the high-loft wedges (56°-62°) have wider, shallower grooves to help stick it close from anywhere around the green. 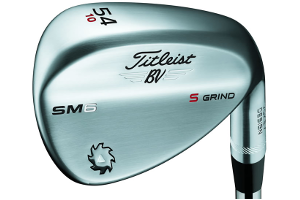 Furthermore, the SM6 wedges are offered with 5 different grind options: F grind, M grind, S grind, K grind, and L grind. Each one is designed to work with a golfer’s particular style of play and from various turf conditions. Consult with a golf professional to identify the best choice for your particular style of play. The newly designed MD3 wedges have three different grinds (W, S, C) as well as Callaway’s Progressive Groove Optimization. The W-Grind offers a wider sole, ideal for bunker play, soft course conditions, and players with steep swing planes. The S-grind is the most versatile of the three, created with just about every course condition in mind and recommended for both steep and shallow swingers alike. Finally, we have the C-Grind, meant for firm course conditions and players with shallow, around-the-body swing planes. The Progressive Groove Optimization is engineered with a 3-groove design to make spin consistency between irons and wedges more reliable. The Pitching and Gap Wedges include 30V grooves, which cater to steeper angles of attack; the 20V grooves are ideal for bunker play; the 5V grooves in the lob wedge caters to those delicate, short-sided greenside shots, when stopping the ball on a dime is imperative. When Cleveland began designing the RTX 2.0 wedges, they aimed to solve a common pain point: Shots from 125 yards and in. 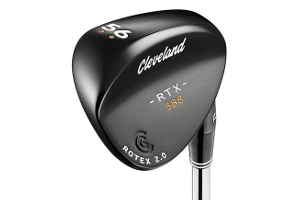 With the likes of Graeme McDowell, Keegan Bradley, and Hideki Matsuyama providing expert intel, the Cleveland RTX 2.0 wedges are considered the perfect antidote to a struggling mid-range game for golfers of all skill levels. Cleveland’s Rotex Face Technology continues to expand shot making possibilities to boot. With 15% sharper grooves compared to last year’s model, and the roughest face pattern permissible within USGA guidelines, you can rely on predictable spin, shot after shot. The grind design is engineered to provide a perfect combination of versatility and dependability, though I can’t say I would recommend this particular model for players with significantly steep or shallow swing paths. It is much better suited for players with neutral swing paths. Like all other wedge manufacturers on this list, TaylorMade emphasizes the significant effects of groove design on shot-making. In fact, this is where TaylorMade differentiates its wedges from the competition’s. 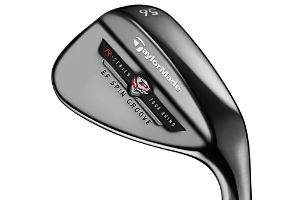 By taking a different approach to the traditional groove design, TaylorMade has effectively created a niche in the wedge manufacturing market. For the most part, grooves are created on a clubface by milling (or cutting) them into the face or they have been cast with the grooves as part of the die, or mold. TaylorMade has gone against tradition and developed an electroforming process to create grooves. For non-chemists out there, this innovative “milling” technique translates into sharper grooves and increased club longevity. If you’re looking to improve your spin around the greens and want a long-lasting wedge, consider TaylorMade’s Tour Preferred EF model, the juggernaut of wedges. Ping took a similar approach to TaylorMade when designing their Glide wedge, but instead of focusing on groove design, Ping created a fully custom club. From the grip, down to the club face, these wedges are a fully integrated “system” designed for greater consistency. In addition, Ping’s proprietary Gorge Groove Technology promotes consistent shot trajectory and spin for every loft. 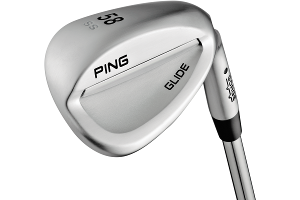 The Ping Glide wedges are available with four different soles: Thin, Wide, Standard, and EYE2. The thin sole caters to firm conditions and shallow swing paths; the wide sole was made for softer conditions and steeper swing paths; the standard sole provides the best of both worlds (soft/firm conditions, as well as a variety of swing paths); the EYE2, with its throwback name, also provides the best of both worlds and promises to improve bunker play. 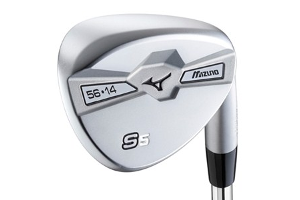 Mizuno took a craftsman’s approach when designing their S5 wedges, which feature a unique Silhouette profile. With PGA professional Luke Donald providing expert input, these wedges offer two sole grinds to get up and down from all angles and lies. Mizuno’s technology offers Quad Cut CNC milled grooves to promote spin. S5 wedges come in 25 different loft and bounce options, ensuring all distance possibilities are accounted for. Furthermore, the S5 wedges offer grinds complimentary to their high and low bounce options: High bounce (15% sole grind) and low bounce (25% sole grind). The grind compliments the bounce by allowing the high bounce version to play higher and the low bounce to play lower. The wedge technology is out there, no doubt about it. Now, it’s a matter of finding the right option for your game. Consult with your local golf professional to weigh the pros and cons for all wedge models. Once you find your wedge, practice, practice, and practice some more. Then, stick it close, tap it in, and repeat. 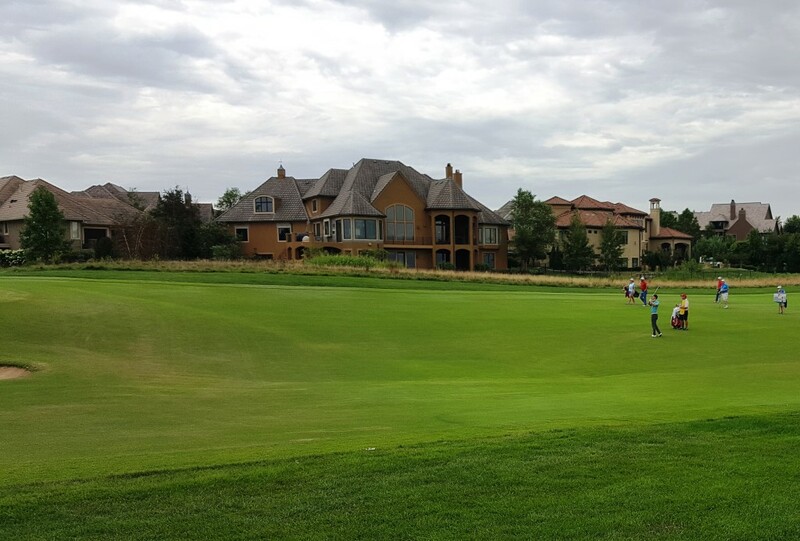 Regularly recognized over the years as one of Kansas’ best, Prairie Highlands is hoping to return to its place among top-tier courses. 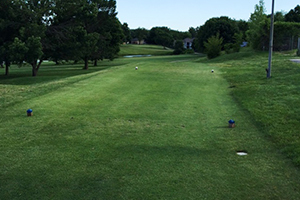 To accomplish that, General Manager Shawn McGuire was recently brought over from Hillcrest to help spruce up a course which consistently ranks among the top five Kansas courses. Restoring some of the brand new feel is one of McGuire’s primary tasks. A complete course makeover was not needed, though. The basic structure was still sound. 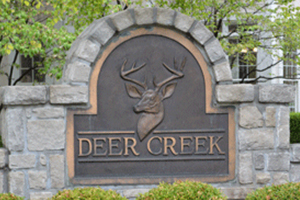 He and new superintendent Jeff Clark set to work with a detailed plan to upgrade the course. The new greens rollers lack hydraulic fluid, which eliminates the risk of damage to greens from leaks. This kind of attention to detail shows, too, in their approach to watering the greens. Prairie Highlands goes to great lengths to preserve consistent green speeds and overall high-quality status of the greens. Another challenge McGuire and his staff are currently tackling is to upgrade the bunkers. In addition to fine-tuning the course itself, they have upgraded their customer service. They also added a new fleet of carts featuring a new GPS system. To make it easier to use for both customers and staff, Prairie Highlands has introduced a more comprehensive pricing system. 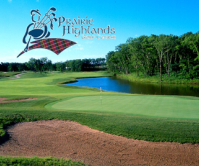 Instead of having separate pricing for golf, for a cart, for a range pass, etc., the course offers it all in a set of membership packages ranging from $89.99/month to $149.99/month. The par 72, links-style course with zoysia fairways and bent grass greens remains a terrific golf destination. At 7,100 yards from the back tees and with four sets of tee boxes, it accommodates every kind of player. There are several interesting holes and McGuire has his own favorites. Number 15, another par five, at 537 yards, is similar to number 9, but with water on the other side. Number 6, a 377-yard par four, is also on his list of favorites. The spacious layout gives players a lot of options. Overall, McGuire hopes Prairie Highlands customers will enjoy their visit and want to make it a regular stop. Imagine a place that offers a beautiful tree-lined golf course, complete fitness center, expansive locker rooms, swimming pool, and an on-site bar and grill for as little as $49.99 per month. No, it’s not a belated April Fool’s gag. Leavenworth Golf Club is a package of golf, fitness and fun that really isn’t too good to be true. 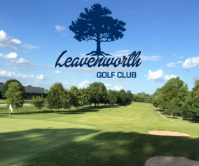 Located in Lansing just outside Leavenworth, the golf club is operated by GreatLife KC, which also runs The Oaks Golf Club in Leavenworth and nine other courses in the Kansas City and St. Joseph areas. 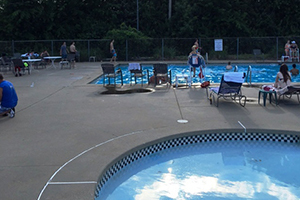 Members at Leavenworth also have playing and fitness privileges at The Oaks and certain privileges at other GreatLife locations as well. 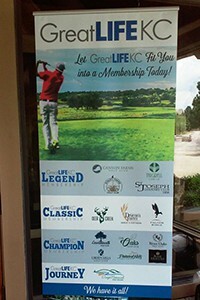 GreatLife took over Leavenworth Golf Club in 2010. The course was founded in 1920 and was previously Leavenworth Country Club, a private venue. Players have seen dramatic improvement in the condition of the course in recent years. Credit for that goes to course superintendent Shane Dorsey, who had previously worked at Falcon Lakes, according to Chris Herrig, general manager at Leavenworth and The Oaks. Leavenworth is available for daily green fee play, but it doesn’t take many rounds to make a membership a much better deal. Singles can play, without a cart, for $49.99 monthly, families for just $69.99. 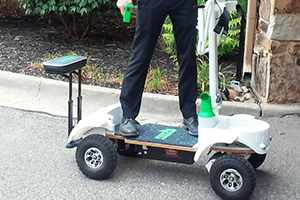 Adding unlimited cart usage brings the rate up to $99.99 for singles and $149.99 for families. With that rate, comes the fitness center and outdoor pool. 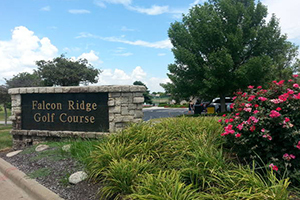 GreatLife has other prices and packages at The Oaks and its other courses: Drumm Farm, Falcon Ridge, Liberty Hills, Painted Hills, River Oaks, Royal Meadows, Canyon Farms, Staley Farms and the St. Joseph Country Club. 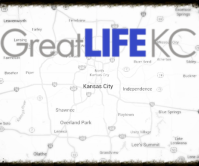 Information is available at greatlifekc.com or by calling 816-305-6242. Leavenworth Golf Club, at 455 W. Eisenhower in Lansing, is a rolling, tree-guarded course that plays to 5,925 yards from the back tees, 5,580 from the middle and 4,916 from the women’s tees. While not considered a long course, the par 70 layout puts a premium on accuracy and placement, especially on several dogleg holes. Lake Oliver, named after 1948 club president J.V. Oliver, poses a threat on the 9th and 10th holes. Another pond is on the 5th hole and a creek traverses the 8th fairway. The course also has 23 traps. 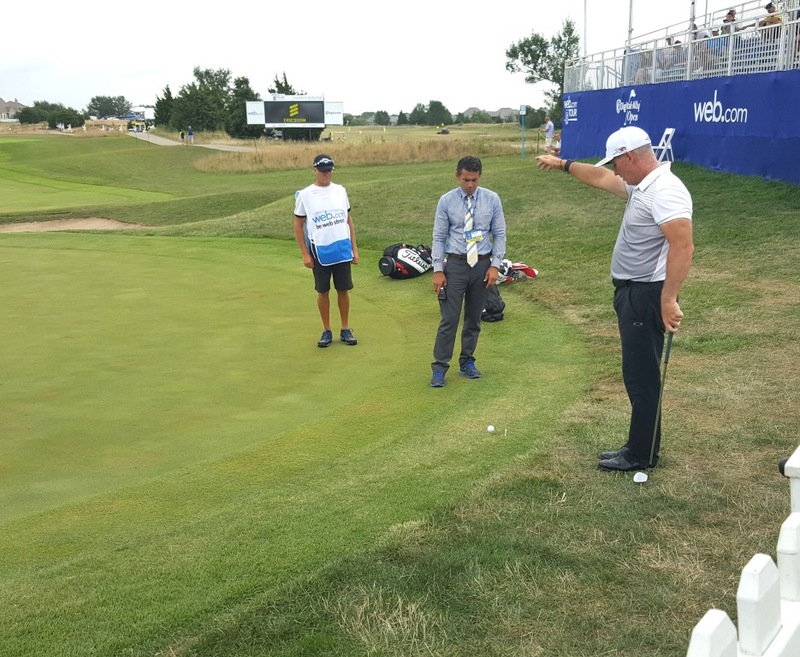 “Most people hit driver on most holes, but there a couple of doglegs where an iron is advisable off the tee,” Herrig said. After the round, golfers can retreat to Jake’s Bar & Grill overlooking Lake Oliver. Burgers, chicken strips and other food and snacks are served inside or on a shaded deck. 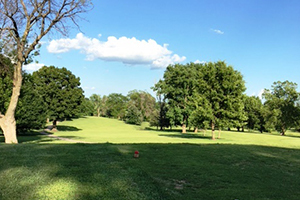 The golf course hosts a number of leagues, including a Wednesday morning women’s league, a Wednesday evening 2-man best ball league, a Thursday 2-man scramble, and Friday couples league. There is also some tournament play. The golf professional is Josh Fisher. 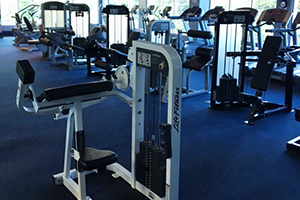 The fitness center is equipped for beginner or advanced workouts and has a personal trainer. 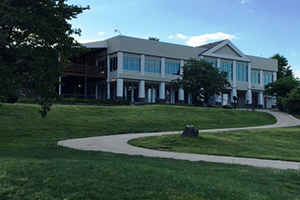 The bright, cheerful facility is surrounded by windows that look over the course and grounds. On the lower level, members can make use of modern, fully carpeted locker rooms with shower facilities and spacious wooden lockers. 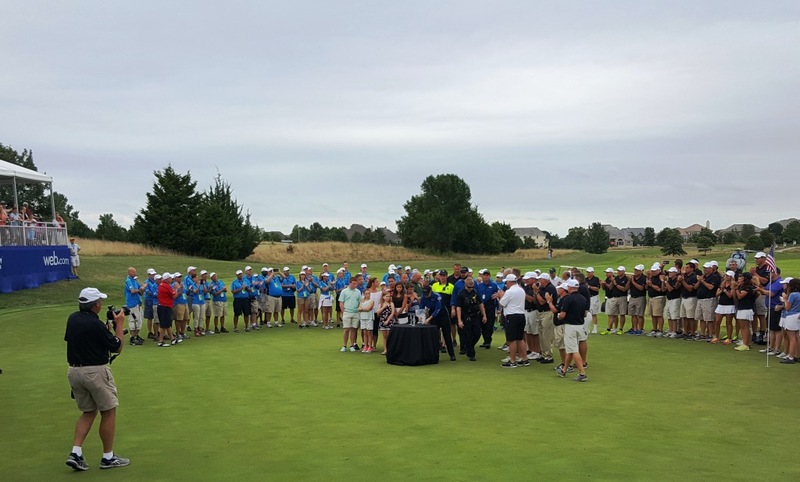 The Digital Ally Open came to Overland Park August 4th through the 8th. Champion Wesley Bryan prevailed in a three-man playoff that capped a week of fun and excitement. Bryan actually ended up taking home three items during the award ceremony on the 18th green following play – his trophy, first place winner’s check, and a brand new PGA Tour card by way of winning his third title this season on the Web.com Tour. 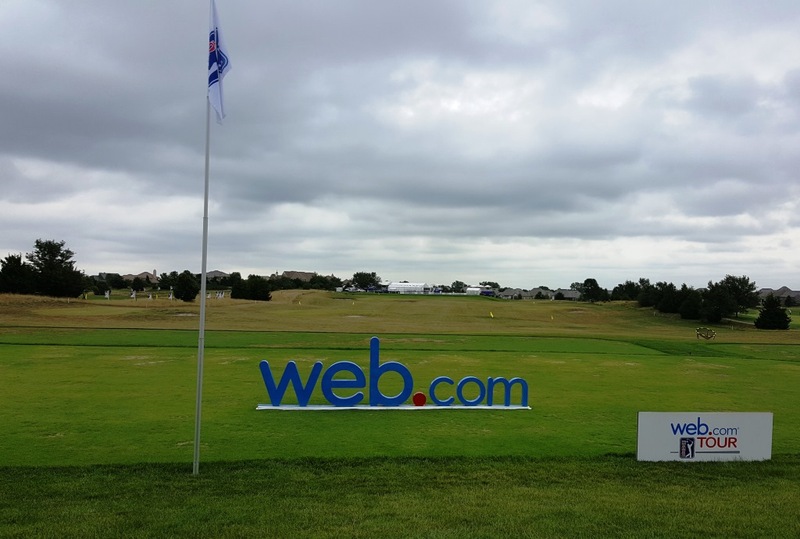 To read more about the tournament, visit the PGA Tour’s coverage of the event here. 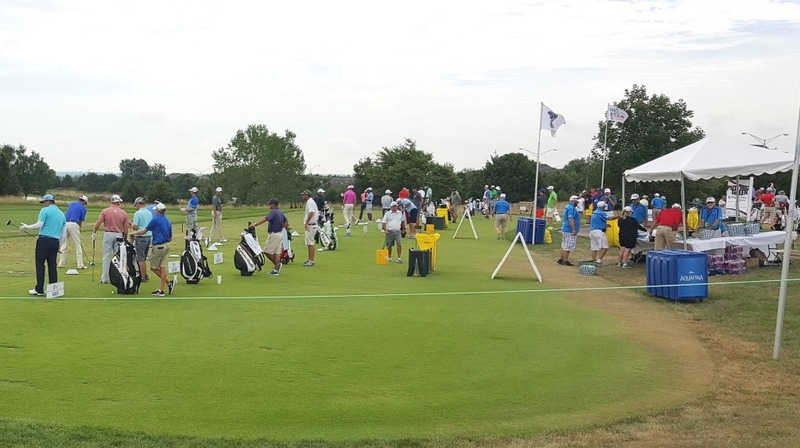 What follows are our favorite images of a fun-filled week of professional golf right here in KC. 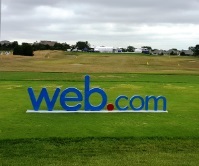 The Web.com Tour Came to the Links of Lionsgate in Overland Park. Rick Lamb tees off on #5 en route to a birdie that put him one stroke off the lead Friday. 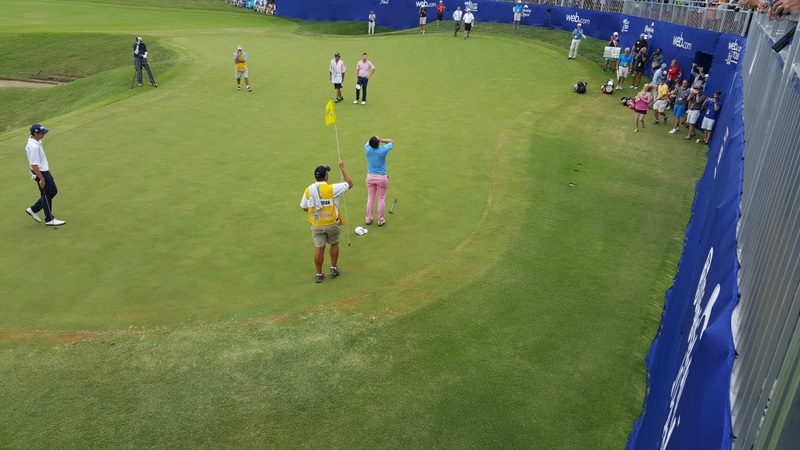 PGA Tour winner Peter Lonard with a drop from the fencing that closely surrounded the 18th green. Ben Curtis, winner of the 2003 British Open, signs a ball for a young fan. 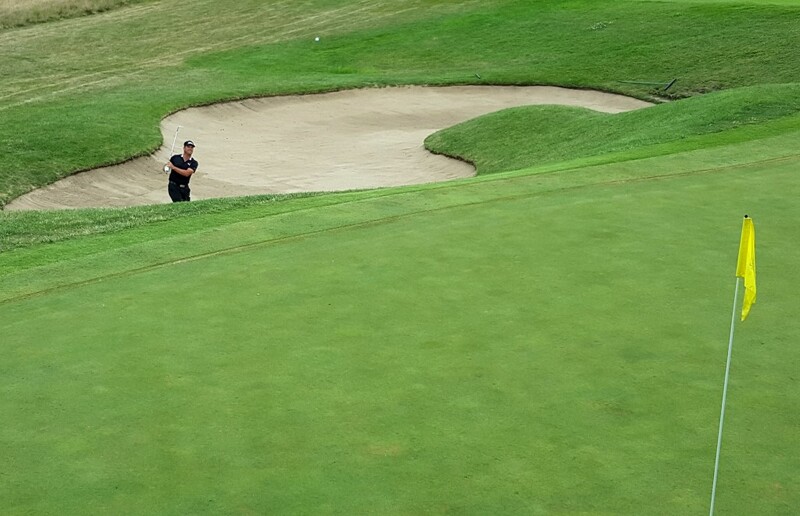 Josh Teater from the bunker on #17 – he would finish in a tie for 15th. 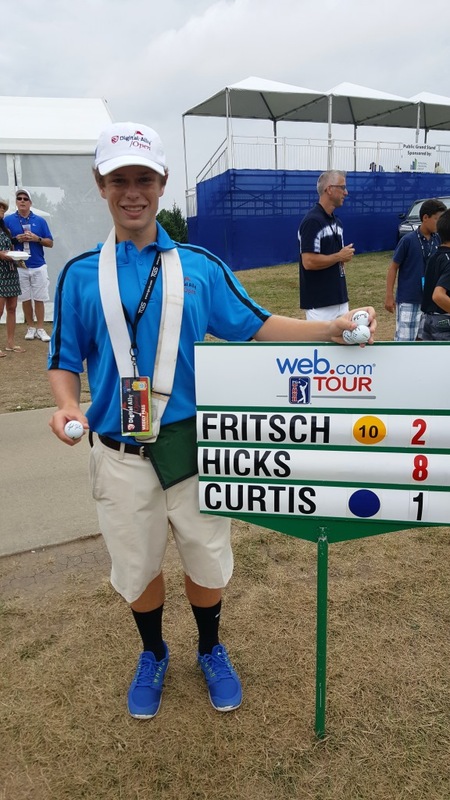 A young standard bearer shows off his souvenirs – including one from Major Winner, Ben Curtis. 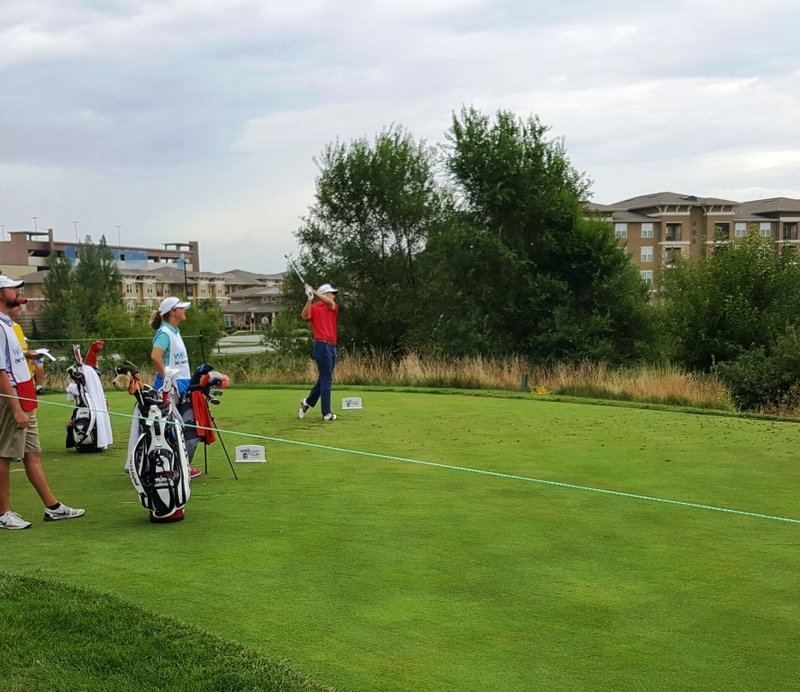 Rookie Ollie Schniederjans from the fairway with the homes of Lionsgate providing a backdrop. Schniederjans is currently 2nd on the Web.com money list. 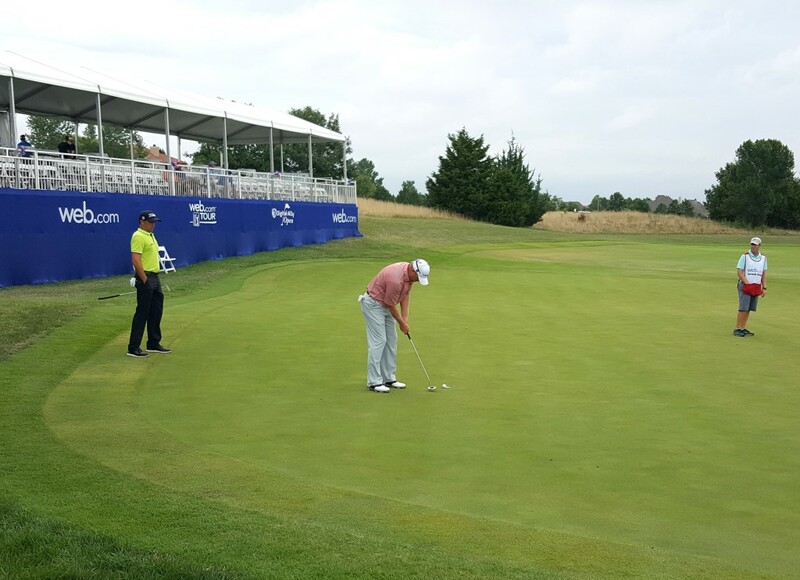 Three-time PGA Tour winner taps in on the 18th hole early in the week. 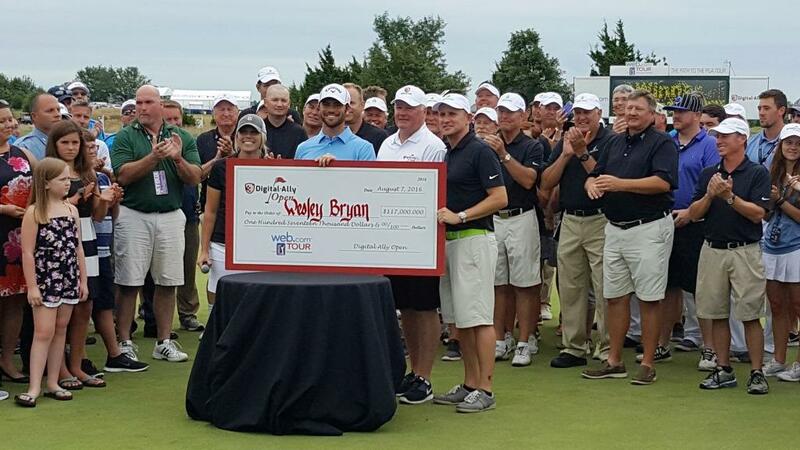 Wesley Bryan with a short putt to clinch his third win this season and an automatic promotion to the PGA Tour. 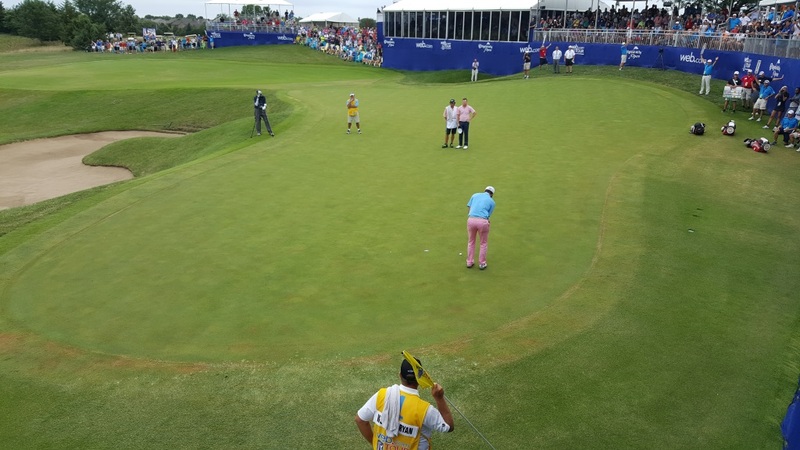 Wesley Bryan – putter drop after winning a three-man, two-hole sudden death playoff. 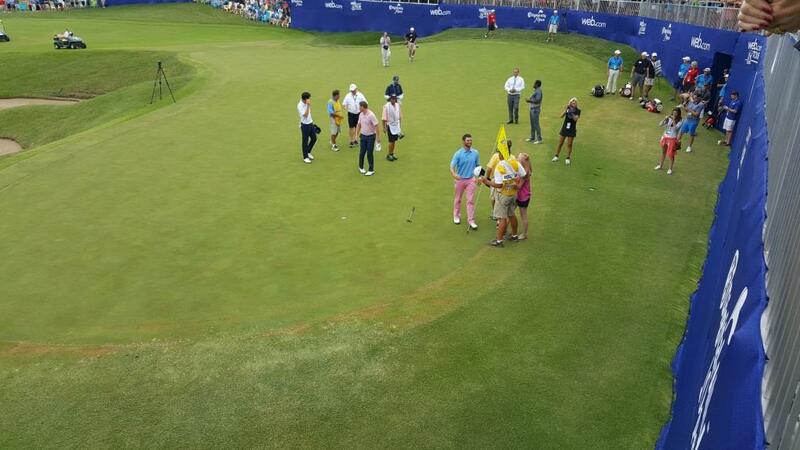 Wesley Bryan greets wife, father, and caddie immediately following the win. 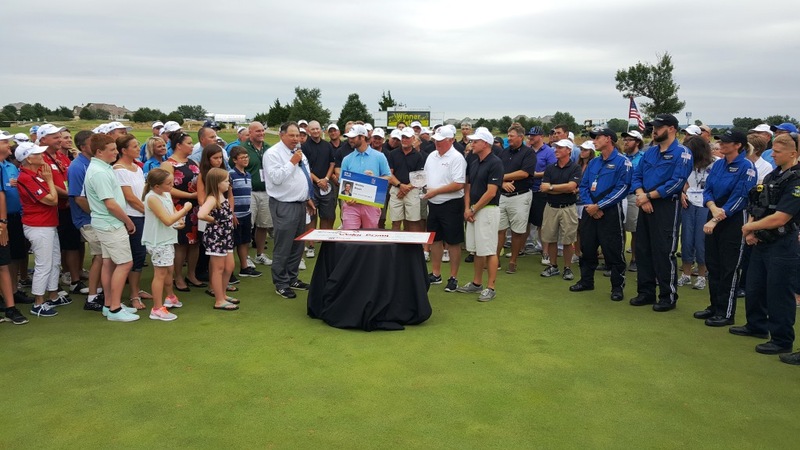 The winner’s trophy was flown in aboard the Children’s Mercy Hospital helicopter which landed on the 18th fairway. 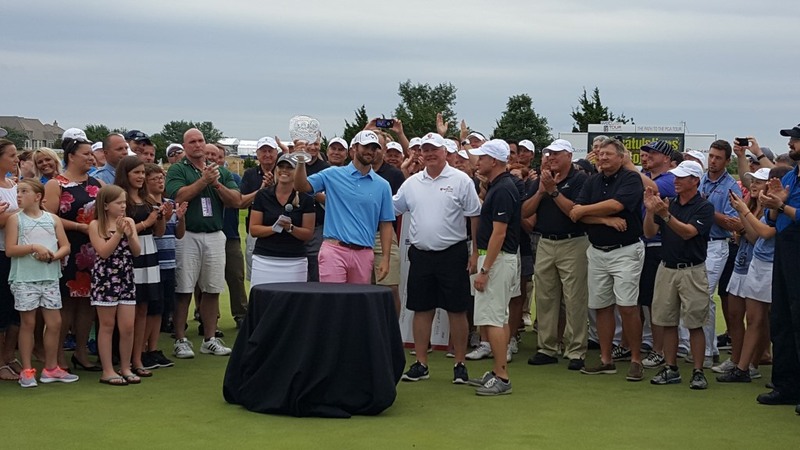 Winner Wesley Bryan raises the trophy with tournament officials, including Kelly Eddy, Executive Director, to his right. 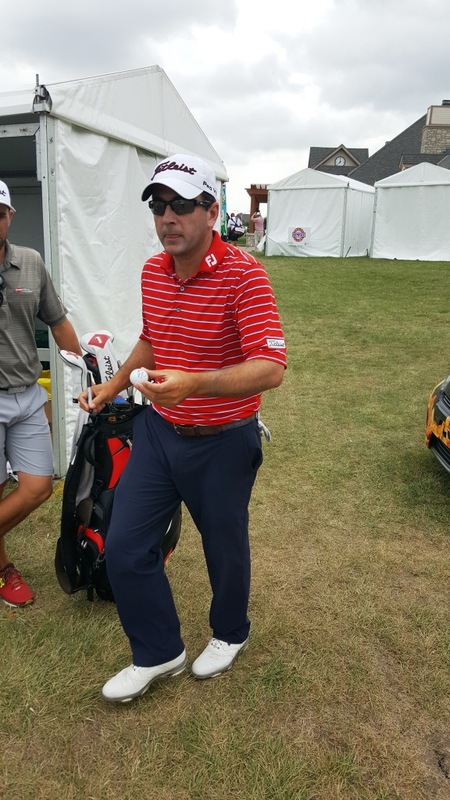 …a newly minted PGA Tour Card. 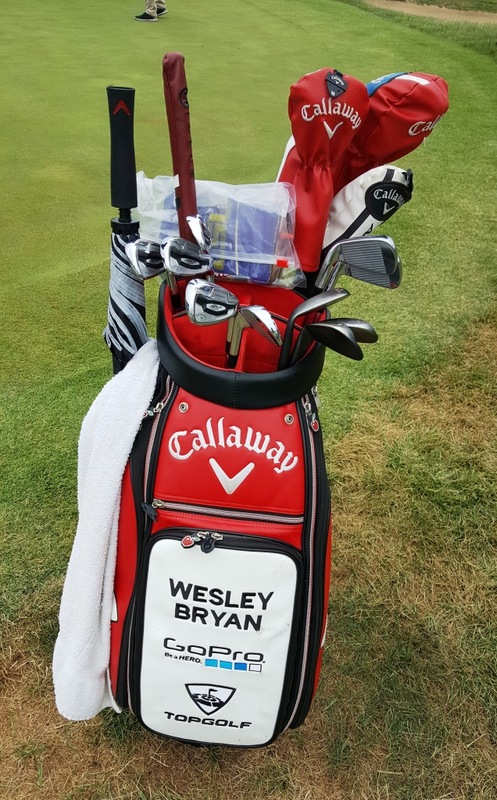 The all-Callaway winners bag included a 9-degree Great Big Bertha driver, Apex Pro irons, MD3 wedges and an Odyssey putter.